After assembling the file folder, this activity can be used hundreds of time with no additional copying, cutting, etc. Perfect for pulling out for last minute activities! "This is a great product! I love the visuals and flexibility." "Great visual support for this language processing goal! Thanks! Quick and easy activity. Great for centers after mastery, too!" 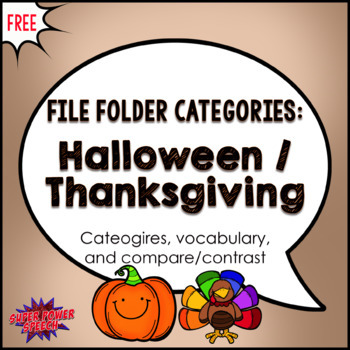 "These file folder activities are a great resource for the little ones, and is recommended for SLPs that travel from site to site."